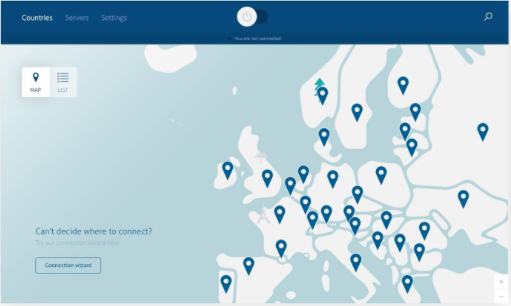 The long-awaited redesigned Windows app by NordVPN is simple to set up, easy to use and if we can say so ourselves.. great looking (thanks design team!). 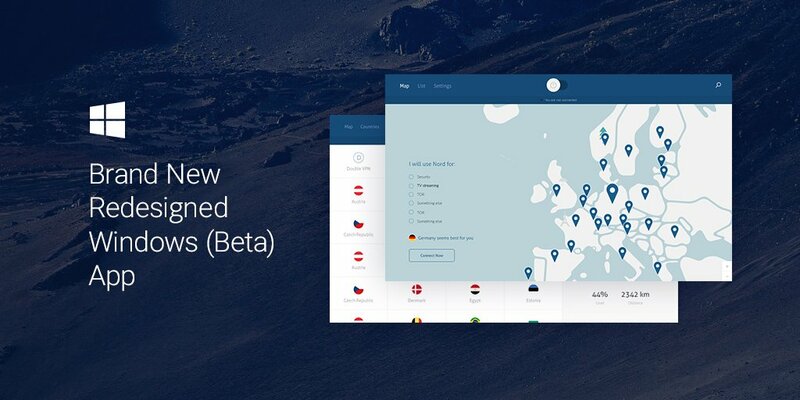 Introducing an interactive design and an intuitive access to popular NordVPN features, it’s straightforward enough for VPN newbies yet offers reliable protection to satisfy even the most security-conscious users. At NordVPN, we believe that anonymity and security online should be available to everyone with a computer or a smart mobile device. To make it possible, we’ve introduced a series of apps featuring cutting-edge usability and design. The app was extensively tested by thousands of fantastic beta testers. A special thanks goes out to every one of you. To recap: what’s a VPN? A VPN service creates an encrypted tunnel between your device and the Internet, securing all your online communications. This way, it prevents Internet Service Providers, advertisers and other organizations from monitoring your Internet activity. It also hides your IP address, ensuring anonymity and allowing to access geographically blocked content (i.e. Facebook when traveling in Vietnam). NordVPN’s app for Windows makes this process very simple. Just download and run – you can now manage your account directly from within the app (for instance, change your password). The application offers many user-friendly features, including an interactive map, a detailed list of available servers, access to the SmartPlay technology, a convenient form to contact our friendly and professional support, and more. In addition, it is now fully compatible with the latest versions of Windows. The new Windows app automatically connects users to the fastest VPN server in their selected location. Using the newly introduced Connection Wizard feature, you can simply choose what you want to use VPN for: security, streaming, anonymity or something else. You’ll be immediately connected to the server that works best for you. However, if you like to tinker with custom options, a detailed list of servers will give you information about their load and distance from you – change between them with just a click. Unique NordVPN features: Double VPN, Tor over VPN, Ultra Fast TV Servers and more.